It’s time for another update on Resin Car Works kits! 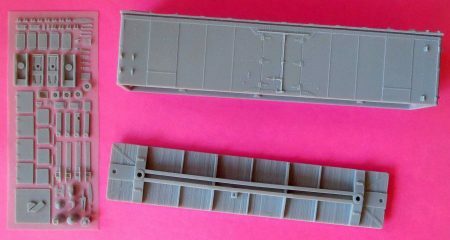 The CB&Q XM-32 boxcars (Kit 8.01) remain on hold as we await a decal shipment. Up next will be the SFRD Rr-35/36/39/40 refrigerator cars. These will be released at the Santa Fe Historical and Modeling Society convention in Lisle (same place as RPM Chicagoland) on the July 21st weekend. We will post a blog announcement when these kits are available via the Resin Car Works kits page. A flat car load is nearly ready. This will be an electrical transformer load. Frank did a similar load for Sunshine Models years ago. This new version will be a one-piece kit with some extra crates. 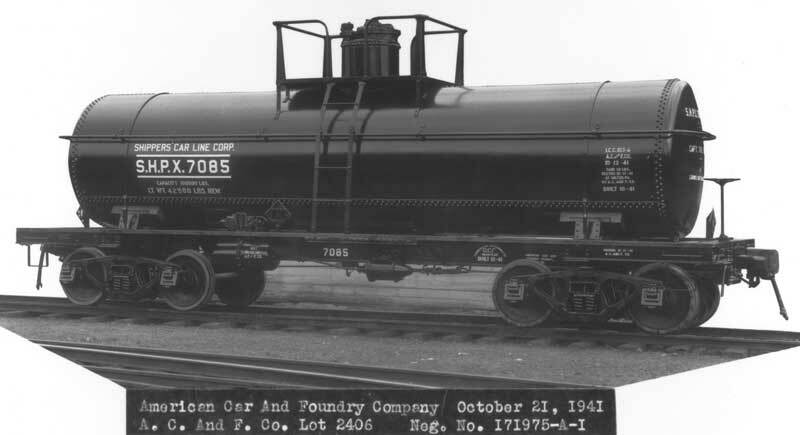 Coming in the fall, we hope to release the Soo 50-foot, steel-sheathed automobile boxcar. If casting goes well, we will try and have the 70-ton Milwaukee Road composite gondolas available. Looking beyond, a UTLX 6.5K gallon X-3 tank car with two frame styles is targeted towards the end of 2018, or early 2019. Another insulated tank car kit update! 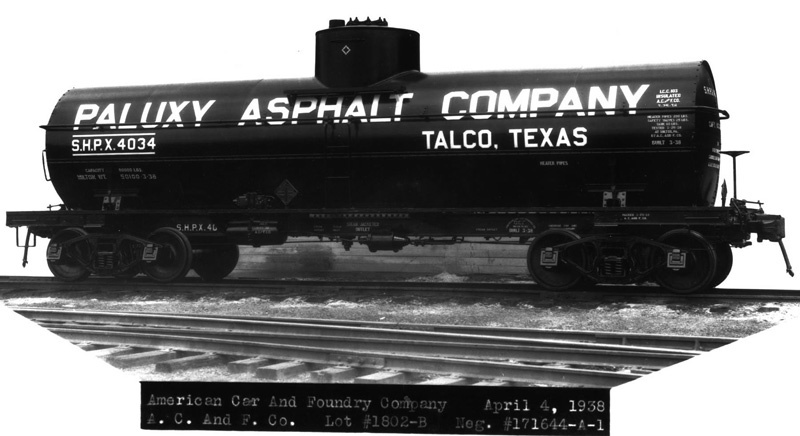 Resin Car Works has added three more versions of the AC&F Type 27, 8,000-gallon, insulated tank car kits. These new HO scale freight car kits represent cars built for Shipper’s Car Line and leased to Wecoline Products and Paluxy Asphalt. The kits include decals and a pair of Tahoe Model Works truck side frames. Please visit the Kits page on our website for additional details and ordering information. Additional versions will be announced as decals and parts arrive. We await a shipment of CB&Q decals for the XM-32 boxcar, Kit 8.01. Once the decals arrive, orders will be shipped out. We thank you for your patience.